Joining us now in Dania Beach, Florida, Susan Brown and Nancy Haas. They're the attorneys for Larry Birkhead, who maintains he is the biological father of Dannielynn. First, Susan, your reaction to the autopsy report? SUSAN BROWN, FLORIDA ATTORNEY FOR LARRY BIRKHEAD: I wasn't surprised at all. It was exactly what I expected. KING: Nancy, is Larry satisfied with the autopsy findings? NANCY HASS, FLORIDA ATTORNEY FOR LARRY BIRKHEAD: Absolutely. 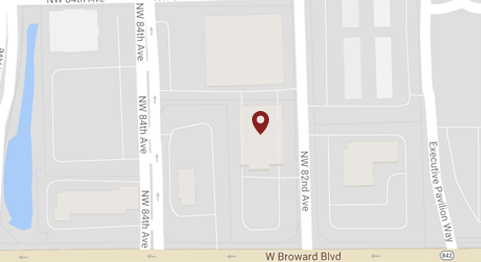 Dr. Perper and the Broward medical examiners did a very thorough job. And we're very satisfied. KING: Susan, does Larry blame anybody for the death of his former girlfriend? BROWN: We haven't been able to confirm Larry's reaction today to the results. But I don't believe so. Larry's not that kind of person. I think Larry's main concern is the baby. Larry's main concern is the baby. KING: Nancy, does he blame himself in any way? He tried to intervene with Anna Nicole about her drug use in the past. Does he ever think I should have done more? HASS: Well, I think we heard Larry testify he did everything within his power, that Mr. Stern interfered with him trying to take drugs away from Anna Nicole. And it was a very difficult situation. Ultimately, as we all do, Larry thinks it was a tragedy and a senseless death. KING: Where are we now, Susan, with the DNA story? BROWN: Well, there's a gag order in the Bahamas. I'm going to very careful in how I respond to you. It's been reported in the media. There's another hearing on April 3. I still haven't heard about the appeal from the media. And I think that's still looming out there. We expect an appeal from Mr. Stern. KING: Does that mean, Nancy, that DNA has been taken, not taken or you can't reveal? HASS: Well, we can't reveal. We believe the Bahamian court is acting appropriately. And we know everyone wants to know who the biological father of this child is. We know it's our client. But yes, we believe they're proceeding accordingly. KING: Once the DNA testing is done, are we going to know, Susan? BROWN: I hope know. Again, we're not sure. There's a gag order in place. But I would think, and I'm speculating, but I would think once the results are known, there should be an official statement. KING: How much contact has Larry had with Dannielynn? HASS: Well, we can't really comment on that either pursuant to the gag order, Larry. But I think that everyone's seen Larry in the media, you know. And everyone can draw their own conclusions. Of course, he wants to be reunited with his daughter and be with her everyday. KING: Why, Nancy, is he on the list -- your client on the list of witnesses to the inquest into Daniel Smith's death? HASS: We can't comment on that either because it is an inquest. But I think that the Bahamian court again is trying to gather all relevant information to get to the bottom of Daniel's death and why he also, you know, succumbed to a drug overdose. These are very, very serious allegations. KING: You mean he can't even say why he's on the list for the inquest? HASS: Because the Bahamian court likes to conduct things in a very private judicious manner. And we as attorneys have to respect that. KING: How long do you anticipate before we know who Dannielynn's father is? BROWN: Again, there's a hearing that's been reported in the media on April 3. I suspect an appeal. So your guess is as good as mine. I think and hope the Bahamian appeals proceed quicker than a typical appeal in the U.S. But I think the jury is still out on how long it's going to be. KING: How's Larry handling all of this, Nancy? How's he dealing with it? HASS: Larry's doing just great. He has very high spirits at this point. I think today's coroner's report will give everyone some closure, hopefully. And his focus is really on the paternity proceedings in the Bahamas and to again be reunited with Dannielynn. That's his primary focus at this point. KING: When everyone seemed to get together at the funeral, Susan, has this changed a lot of the harsh attitudes between Larry and Howard? BROWN: Larry and Howard certainly got along for purposes of the funeral. But they're adversaries in court. They're both fighting for the same little girl that Larry is 110 percent sure is his. So I don't think you can be buddy-buddy in that type of situation. KING: Nancy, this case, among the cases you've handled, where do you rank this? HASS: Pretty much at the top, I would say. It's had every twist and turn and all kinds of issues: family law issues, probate issues. It's been a very, very intense experience for Susan and I. We've both been family attorneys for a very long time. And Larry has really been a wonderful client. But it's been very fascinating and we've been very happy to be involved and to assist him. KING: Do you know why Larry gave up his other attorney, Susan? BROWN: That would get into an attorney-client privilege matter that we really can't get into. I would suggest if you want that answer you speak to one of them. KING: Thank you both very much. Susan Brown and Nancy Hass, the attorneys for Larry Birkhead.